We Get Customers to Line Up! A parking lot is one of the first things noticed by customers, clients, and visitors entering a facility. The color contrast of a newly striped lot is attractive and is a good indication that the property owner understand the importance of the first & last experience of their customers. A well-marked parking lot directs people safely around the parking area. Crosswalks, stop bars, loading-zone markings, and properly marked pickup areas inform pedestrians where they should walk, when to give right-of-way to traffic, and what areas to avoid. It makes parking lots a lot safer! 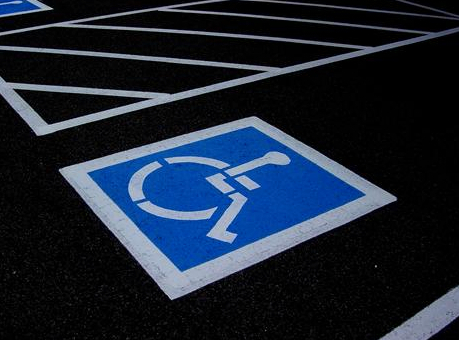 To help preserve or improve the flow of traffic on a parking lot, Patriot Pavement Maintenance’s line striping crews will either re-stripe or lay out new markings per customer’s blueprints or our design. Contact Us for Immediate Quotation. "from the first time you meet with Patriot Pavement Maintenance as well as on the job and after it...they do as they promise and make no excuses while providing great work...thanks"